London’s Kidology are bringing their brand of glam disco/house clubbing to Beach Republic! MARK WILKINSON whose mad skills have taken him to gigs in over 65 countries and even earned him a UK top 10 hit. GRAHAM GOLD, the only DJ based in Asia to be listed in the prestigious DJ MAG Top 100 Poll 8 years running and whose legendary shows on London’s Kiss 100 reached out and touched hundreds of thousands of listeners around the world. SIMON SOLO whose early days spent learning from the best in Ibiza has led to residencies and regular appearances at some of Thailand’s hottest clubs. 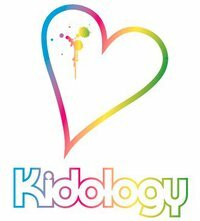 Find out why Kidology’s parties are becoming a growing force in the UK with dates regularly sold out well in advance! 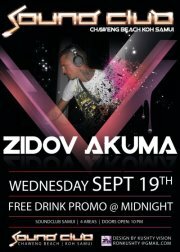 Appearing at Beach Republic – one of the island’s most talked about venues, which will be transformed for one night only!